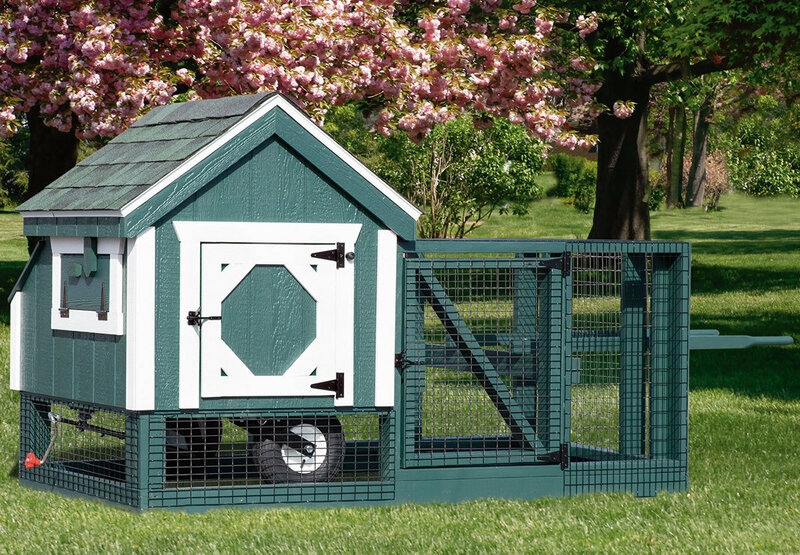 This cute A-Frame tractor coop is a classic design with functional portability. The movable coop-and-run combination is very useful. 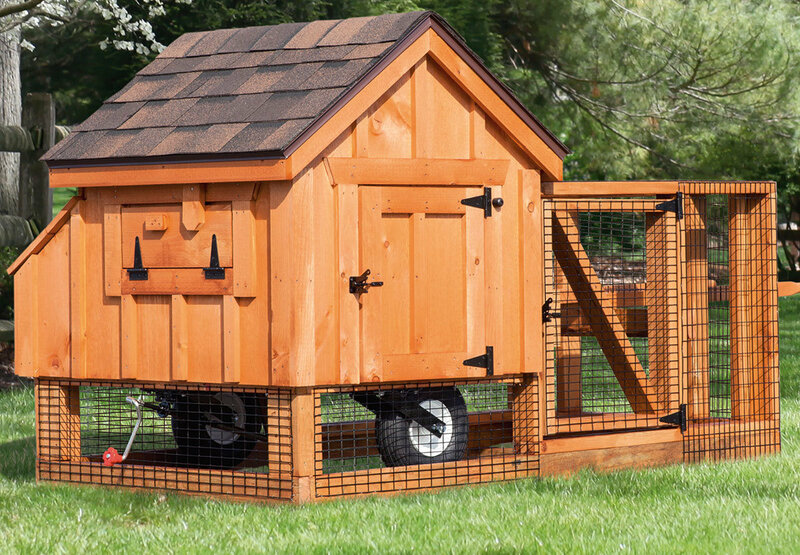 The hand-cranking wheel system allows you to raise the coop and move the coop on wheels to a fresh spot in your yard, making yard maintenance easy and giving your hens fresh grass. The 3x3 is an excellent size for less than a half dozen hens.